YOUR SEARCH IS OVER!! Impeccable curb appeal…ORIGINAL OWNER…You don’t want to miss out on this spotless Suarez Chelsea model 4 bedroom, 2 bath home with a 3-car garage. 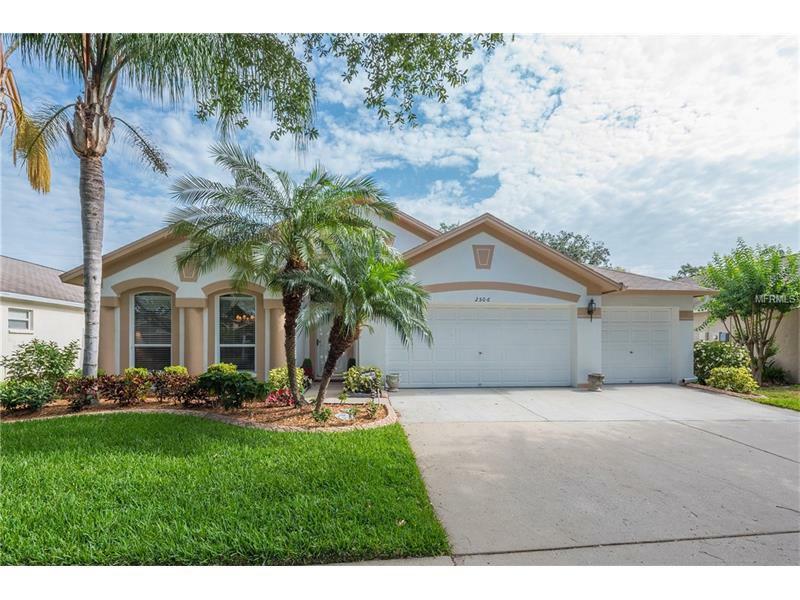 Located in the highly desirable Bloomingdale Community, step inside and you will notice the LARGE living and dining room. The beautiful real wood floors in the foyer and dining room lead you to the kitchen and family room. You will fall in love with KITCHEN and the beautiful GRANITE COUNTERS, UNDERMOUNT SINK, BACKSPLASH, HUGE PANTRY, BREAKFAST NOOK and BAR! The breakfast nook features a charming WINDOW SEAT! This home is very BRIGHT and OPEN! The kitchen looks out to the HUGE FAMILY ROOM. Luxurious master suite has ENOUGH SPACE for all your furniture! GREAT CLOSET SPACE THROUGHOUT! Master bath has a LARGE SHOWER, GARDEN TUB, and DOUBLE VANITY>>>WALK IN CLOSET. The HUGE back PATIO does not get better than this. Enjoy relaxing on oversized covered porch with new “wood look” tile. LUSH LANDSCAPING surrounds the whole area along with a NEW VINYL FENCING. This is a very private back yard with a good size patio area! NO CDD. LOW HOA! PRIVATE COMMUNITY PARK. WALK TO SHOPPING AND SCHOOLS. "A" RATED SCHOOLS! Location does not get better than this. A MUST SEE!! !